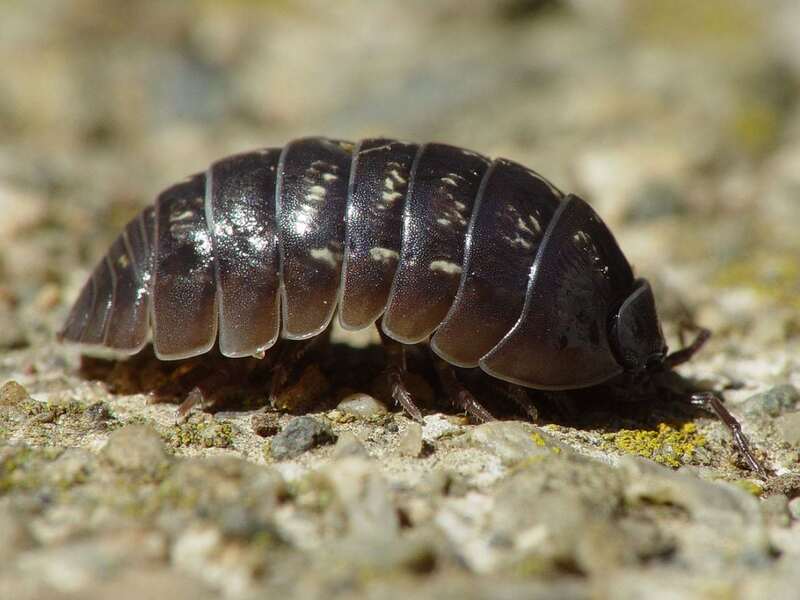 The Roly-Poly bug is how the Armadillidium vulgare is commonly known. But this well-known bug also goes by different names, including potato bug, pill-bug, doodlebug, pill woodlouse, or carpenter. The Armadillium vulgare is a European terrestrial isopod species of woodlouse. This woodlouse gets its popular name for its ability to roll back into a ball when something disturbs it. But when they are not rolled up they can be as long as 0.71 inches (18 millimeters). An important consideration is that the roly-poly is not actually a bug or an insect. Roly-polies are crustaceans. But, unlike most crustaceans, roly-poly bugs are terrestrial and cannot survive under water. Like all other isopods, roly-poly bugs have bodies made up of three main parts: the abdomen, the head, and the thorax. They also have antennae, eyes, and gills. The rate at which they reproduce is between one to three new broods every year. First, the eggs are formed and then the female puts them inside a brood pouch. A female can carry as many as 50 different eggs in her pouch. The eggs hatch about two months in. 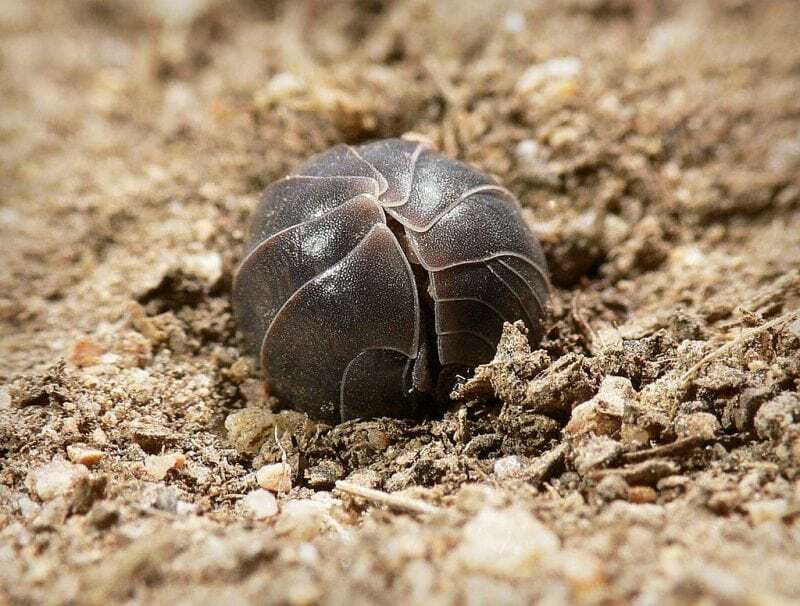 New-born roly-poly bugs look exactly like they will when they grow up. The can even roll up from birth. Their lifespans are between two and five years. One of the most notable features of the roly-poly bugs is how they can physically adapt to different situations. This is because their bodies are structured with what is known as its exoskeleton with plates. This allows them to defend themselves from potential external attacks by rolling up and also by spelling an off-putting odor. This is how they make up for their general inability to sting or bite. But they are also able to adapt to hostile environments thanks to other abilities. For example, they use their mouths or capillary to absorb water with food. They can also communicate with each other by tapping their antennae. They have been observed to fight over food. Because of their cold blood, roly-poly bugs react to any changes of temperature, light, and humidity levels. That is why they live in areas that are moist and dark. If they are exposed to sunlight for a relatively long time, they die. What Is the Role of Roly-Poly Bugs in the Ecosystem? The main role of roly-poly bugs is decomposing. They digest decaying matter and waste from animals and dead plants (also, algae, and lichens), which are then returned to the soil where they are used as nutrients. But that is not the only role of roly-poly bugs in the ecosystem. Their high sensibility to any environmental changes also makes them into great biological indicators. Their additional role is being a source of nutrition to other larger animals. Roly-poly bugs are able to adapt to extremely dry conditions, even more so that many other species of woodlouse. Generally, they live either in coastal areas or in calcareous soils. Another key characteristic of the roly-poly bugs is that they are able to self-regulate their body temperature using their behavior. What this means is that they prefer to remain in the shadow when temperatures are high and, in the sunshine, when temperatures are cold. But they can only go as far when regulating their own body temperature. Extreme temperatures can be lethal for roly-poly bugs. 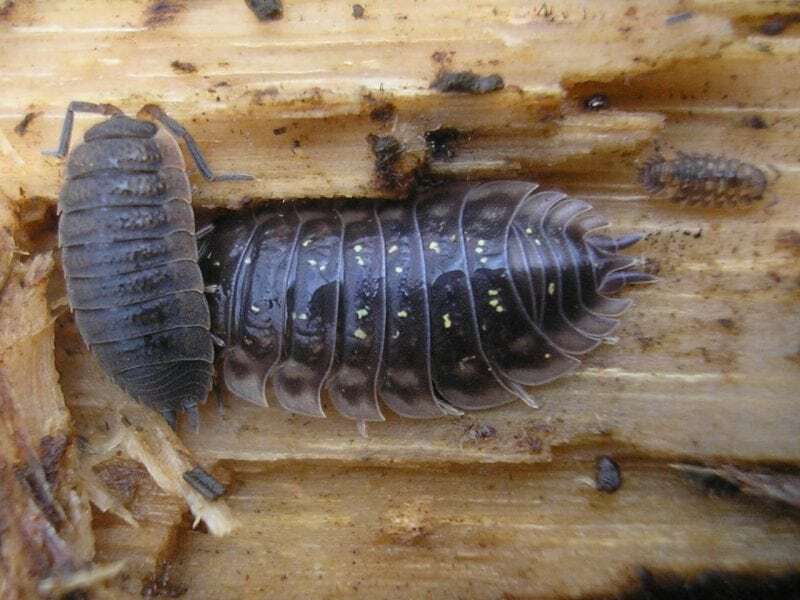 Anything below 28º C (-2 ºC) or above 36 ºC (97 ºF) is lethal for the Armadillidium vulgare. Very often, people think of roly-poly bugs as pests. But the truth is that they are completely harmless creatures. They get their bad reputation because they live in dark, cool areas and they have an unappealing appearance. But do they have any harmful effects on plants? The answer is yes and no. On the one hand, the action of roly-poly bugs is beneficial to plants because of their role as decomposers. But, on the other hand, although roly-poly bugs do not eat plants, they have been observed to cause harm to plants and roots, particularly when these are tender. Despite those cases when roly-poly bugs cause damage to plants and roots, they are generally beneficial for the ecosystem. A key part of this is that they have been observed to eat the eggs of damaging stink bugs, which then prevents stink bugs from attacking and damaging crops. Where Do Roly-Poly Bugs Live? Roly-Poly bugs are native to Europe but are now present in many regions around the world. 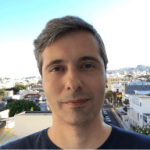 They are traditionally concentrated around the Mediterranean Basin, but they are also extremely common in Britain, where they are hugely common in eastern and southern England and to coastal areas in the North of England. In Ireland, they tend to be concentrated in the East and South of the island. Roly-poly bugs have also been introduced in North America where they are hugely abundant, for example, in the coastal areas of California. But now roly-poly bugs can be found in many areas in the world.